The Red Book by the French company Michelin is the oldest European guide about hotels and restaurants. The famous Michelin-stars were invented at the end of the twenties and are very important because the rewarded restaurants become a real tourist magnet. This distinction is not for life, every year you can win or lose the Stars. It all depends on the opinions of the anonymous inspectors who examine the technique of the chef and the quality of the food. 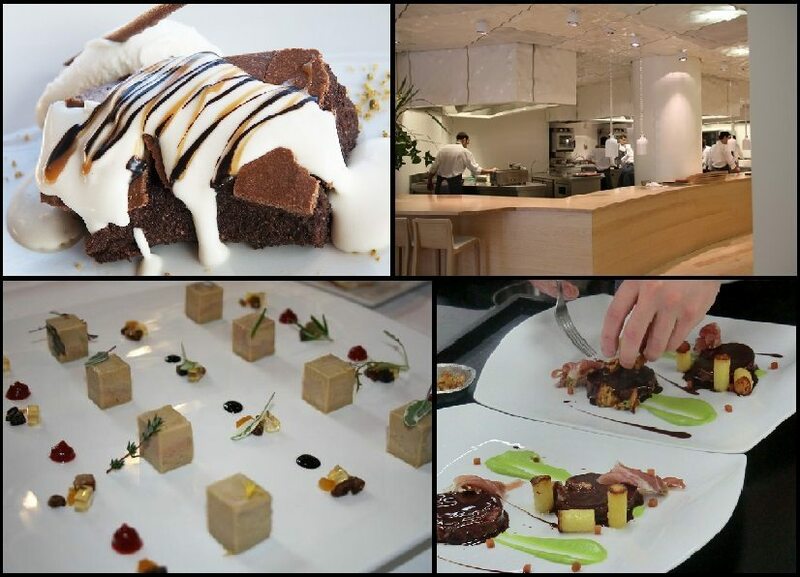 The Basque Country has 20 restaurants which have been awarded a Michelin-star. In San Sebastián we can find Akelarre of Pedro Subijana, and Arzak managed by the king of all Spanish Chefs, Juan Mari Arzak and his daughter Elena: both with an excellent cuisine and awarded with three stars. Very nearby, in Lasarte-Oria, Martín Berastegui gives name to another well-known restaurant. And finally, in Larrabetzu, Biscay, we have Azurmendi with Eneko Atxa in the kitchen and the fantastic Txakoli wine-cellar by Gorka Izagirre. Among the rewarded restaurants with two Michelin-stars that proof the first class quality we find Mugaritz in Errenteria. As the head of the team we have the awarded chef Andoni Luis Aduriz. In the Biscayan capital the following restaurants with 1 Michelin-star stand out: Etxanobe which is run by Fernando Canales and located in Palacio Euskalduna of Bilbao, Mina by Álvaro Garrido, Nerua located in the incomparable setting of the Guggenheim Museum and run by Josean Alija, Zortziko by Daniel García, and the recently rewarded Aizian by José Miguel Olazabalaga, located on the ground floor of Hotel Meliá Bilbao. At only 20 minutes from Bilbao, in Galdakao, Andra Mari stands out, which is a restaurant of family tradition run by Roberto Asúa. Very close by, in Amorebieta, stands a precious caserío from the 15th century where Boroa by Javier Gartzia is located. And within ten more minutes we plant ourselves in the Valley of Atxondo, where the traditional Asador Extebarri by Víctor Arguinzoniz is located. In San Sebastián again, two restaurants hold 1 Estrella: Kokotxa by Daniel López and Mirador de Ulía with Rubén Trincado in the lead. Very close by, in Oiartzun, Hilario Arbelaitz stands out at Zuberoa, and at the border with France, in the city of Hondarribia, we can find the Alameda restaurant run by Txapartegi brothers. And in Getaria, the historic Elkano has just received a Star, a wonderful tribute by Aitor Arregi to his father, the cook Pedro Arregi, who died last year. And what happens with Álava? Well, this province also has its Stars. Here we find the excellent Zaldiaran in Vitoria, run by the avant-gardist Patxi Eceiza, and Marqués de Riscal in Elciego, with dishes made by Chef Francis Paniego. And there are our 20 rewarded restaurants. Why wait and not try the creations by these great artists of the kitchen?